The Lumia 710 doesn't differ much from other Mango smartphones. It has the same set of communications tools and they behave in the same way. 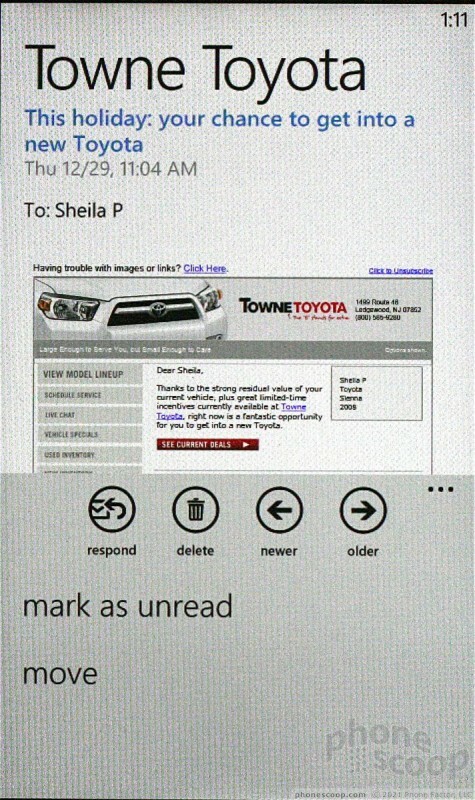 The email app supports Microsoft Exchange as well as POP and IMAP email accounts. You can tweak how often emails arrive, as well as send, save, archive, forward, flag, and search through emails with ease. 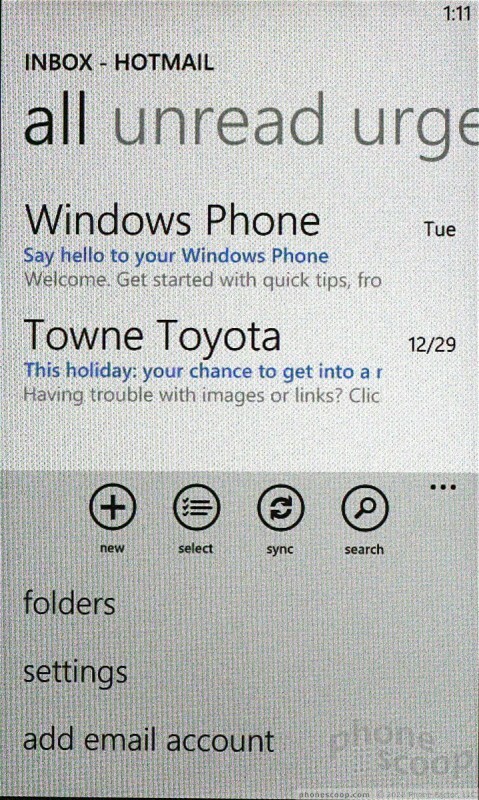 Gmail works really well in Mango, and thanks to the Exchange support built into Gmail, you can add Google Calendar and Google Contacts as easily to the Lumia 710 as you can Gmail itself. 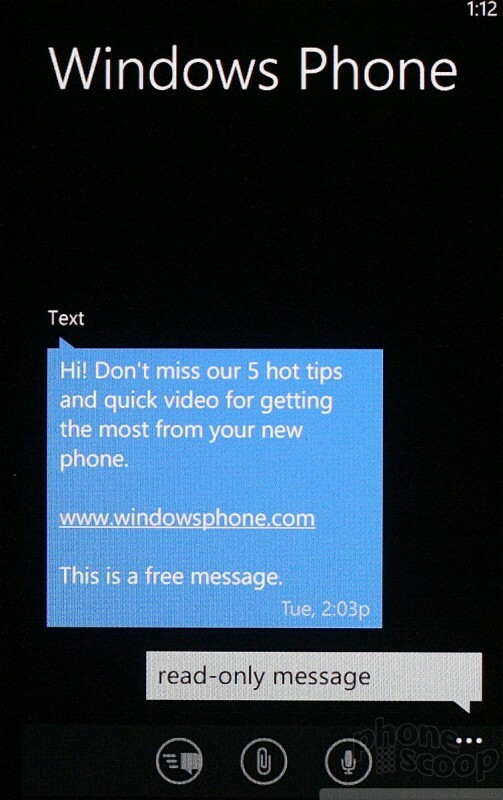 The SMS/MMS application - which is one of the core tiles on the device - offers threaded conversations. Text appears in colored bubbles in a way that will be familiar and intuitive to most people. 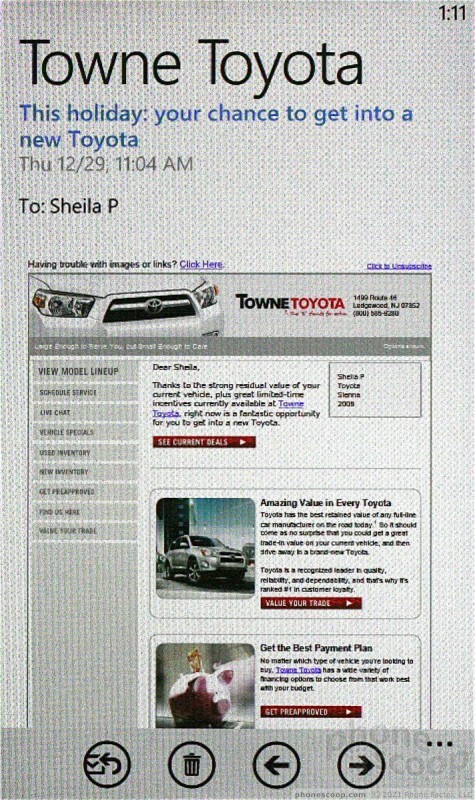 Images and video content appear in-line with the conversation. Instant messaging services are limited to Windows Live and Facebook. If you want to use IM services from Yahoo or Google, you'll have to seek out third-party apps from the Marketplace. The People Hub itself serves as your nerve center for social networking. It provides a rich, well-rounded social networking experience that includes Facebook, Twitter, and LinkedIn. i really like the way user status updates populate the People Hub automatically. In addition to the People Hub, there are excellent Twitter and Facebook apps built for Mango available in the Marketplace.